Pre-order bonuses for big games are nothing new; it’s not uncommon to get whozits and whatsits galore (in-game and real world) for tossing some cash down on the hot new thing a few weeks or months in advance. That’s true of Rockstar’s upcoming Grand Theft Auto V, and for the next few days you can get a little somethin’ back for reserving a copy with online retailer NewEgg.com. Now through Sunday, customers who pre-order a copy of Grand Theft Auto V for Xbox 360 will receive a $15 NewEgg gift card, effectively knocking the game’s price down to $45 from $60. The PlayStation 3 version of the game is also available for pre-order, but the gift card isn’t offered with it for the time being for reasons unknown. The game, due out Sept. 17 for Xbox 360 and PlayStation 3, is the latest in the developer’s long-standing and immensely popular sandbox crime franchise. 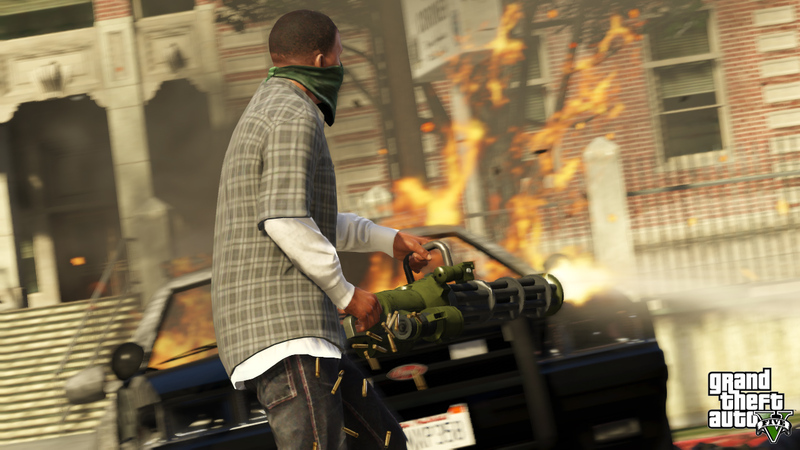 The game returns to San Andreas‘ setting of Los Santos and center on three protagonists – Michael, Trevor and Franklin – whose three stories interconnect as the story unfolds. Does NewEgg’s offer convince you to pre-order with the site? Why or why not? Let us know in the comments.